Author Lisa Gardner calls Spilled Blood a novel of revenge and redemption. How do those themes play out among the characters? Discuss the parental relationships in the book. How does a character like Chris can maintain faith in his daughter in the face of so much evidence against her? How does Florian Steele deal with the mistrust of his own daughter? Brian often sets his books in remote, rural locales. How does this change the nature of his drama, compared to “urban” suspense? How does the relationship between Chris and Hannah evolve during the book? Are they right for each other? 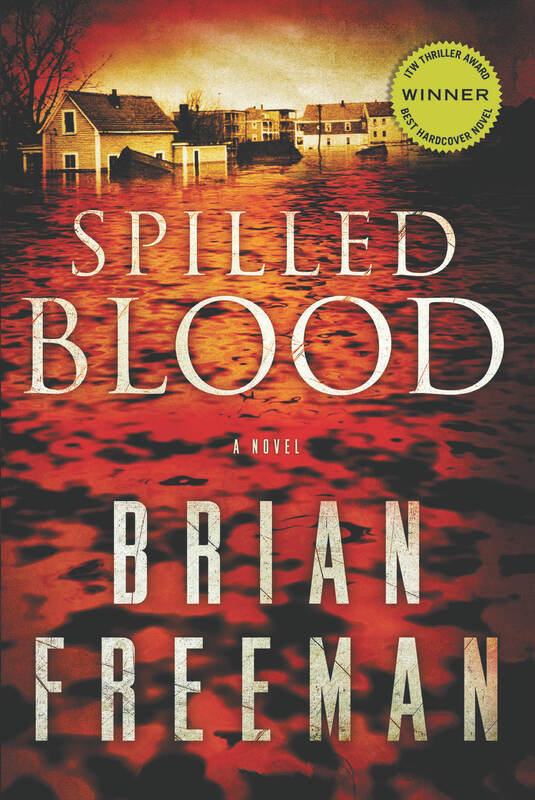 Unlike Brian’s other books, Spilled Blood contains no police characters. How do you compare a stand-alone like this novel to Brian’s Stride series? To his stand-alone novel The Bone House? Discuss the morality and choices of Marco Piva as a character. How do the conversations between Marco and Chris shape the events at the end of the novel? Rollie is in most respects an ordinary man, yet he harbors a terrible secret. Can there be goodness in someone with an evil side? Discuss the similarities – and differences – between the two teenage girls at the core of the book, Olivia and Ashlynn. Who would play these characters in a movie version of the book? Many reviewers have commented on the “cataclysmic” ending of the novel? How do those events shape the emotional climax for the major characters? Is it a “happy” ending?